The Summit Apartments offers friendly, hotel style service combined with the space and convenience of self-contained apartments. This Brisbane hotel is ideally located for business and pleasure travellers in the tree-lined streets of historic and charming Spring Hill. Located adjacent to the St. Andrew's Hospital, The Summit Apartments often accommodate patients and their families. Only 500m to the City Hall, the Summit is bounded by Albert and Victoria Parks, great for walks, a spot of golf, a swim at the Olympic-sized pool and jogging. 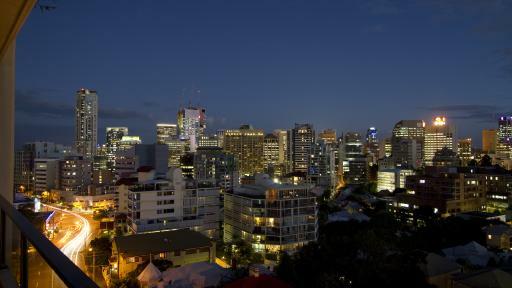 From the hotel you can enjoy 360-degree panoramic views over the city and the meandering Brisbane River, east to the bay and west to the mountains. Space, convenience and relaxation for less than the price of a standard hotel room, The Summit Apartments is a great choice when looking for Brisbane accommodation. 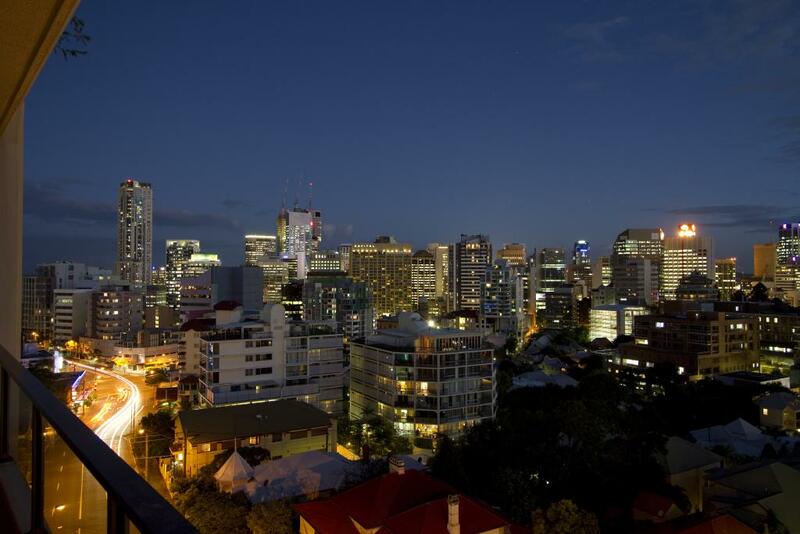 Apartments are spacious, tastefully furnished and private with sweeping city skyline views. 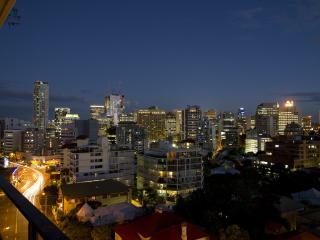 Studio Apartment: The private balcony of these rooms offer views over the pool or Brisbane city. Bedding is 1 Queen Bed OR 1 Queen Bed and 1 Single Bed. 1 Bedroom Apartment: Featuring a fully equipped kitchen with dishwasher, these rooms are ideal for couples. Bedding is 1 Queen Bed OR 1 Queen Bed and 1 Single Bed. 2 Bedroom Apartment: Featuring a full equipped kitchen with dishwasher, these apartments are ideal for families. Bedding is 1 Queen Bed and 2 Single Beds.